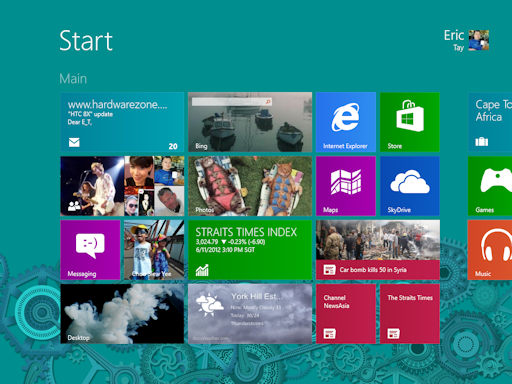 How to be productive in Windows 8 | My Thinking Out Loud! 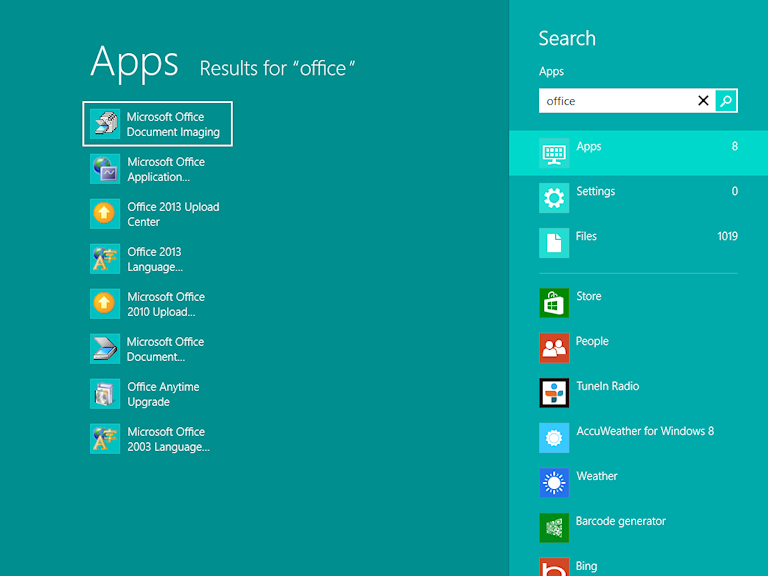 How to be productive in Windows 8 – My Thinking Out Loud! Microsoft launched Windows 8 to much fanfare on 25th to 26th Oct 2012 worldwide & the reception has been pretty good overall. Steve Ballmer mentioned at the Windows Phone 8 launch that Windows 8 takeup rate was faster than Windows 7 was back in 2009. There are, however, still concerns that it will leave behind a big group of enterprise users who have a problem with the learning curve involve with the Start Screen. Yes, the Start Menu & Start button are gone & there’s no way to get it back without buying some third-party software, which business will, no doubt, hesitate in spending extra on. If you’re wondering what made Microsoft make such a major change, read my opinion piece here. Many PCs are still running great or are acceptable. Most of them don’t have a Touchscreen or Pen digitizer. The biggest concern for many users is, can the new interface be used with Keyboard & Mouse without sacrificing productivity? The answer is a resounding YES! Now, let me qualify that I’m going to teach you how to use WIndows 8 using an average keyboard & mouse, not the new generation of keyboard with Windows 8 keys or the new mice that has Touch surfaces or even Trackpads that mimic a Touchscreen. Just you plain old familiar stuff. You’re welcome to upgrade your keyboard & mouse if you want some of the new features but they’re not necessary. Microsoft has taken care of us. Your new playground to drive away the Monday Blues & welcome TGIF! 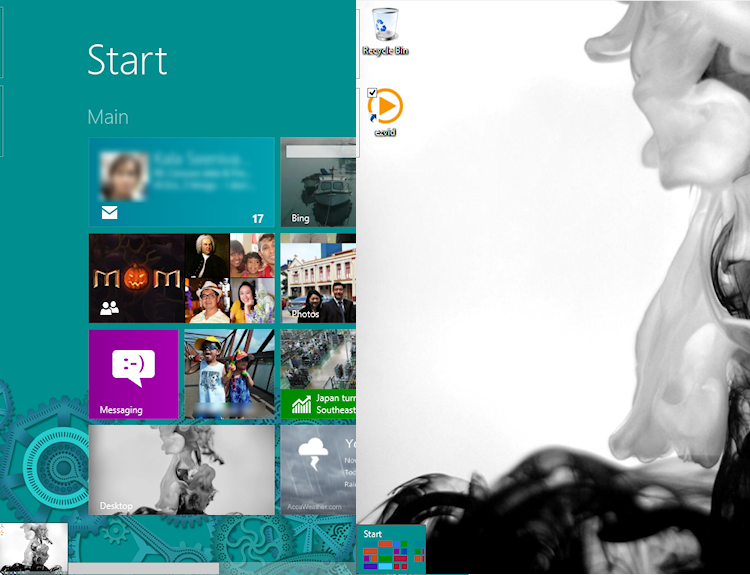 Well as mentioned, Start button & Start menu are gone. In its place is this beautiful, cheerful full screen & scrollable page with tiles arrange in neat grids. 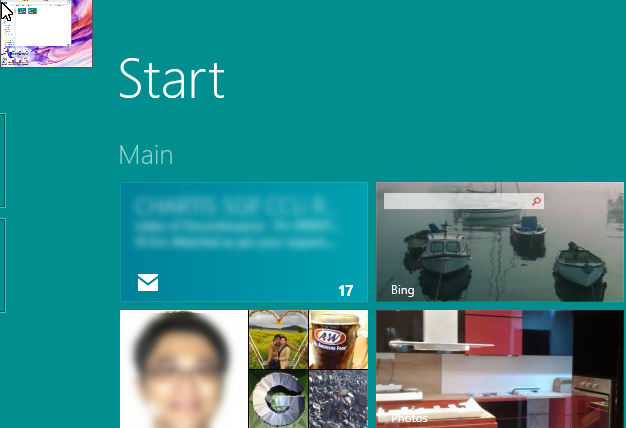 The first reaction is the information overload if you’ve configured your Windows 8 to sync with your MSN/Xbox/Hotmail/WP7 account. Next is the shock of not being able to find your favourite software & perhaps Desktop! Start Typing on the Start Screen & you get Auto Search! No worries, let go of the mouse & start typing the name of your software right at the Start Screen. A panel will appear on the right & the result will be shown on the left. You can select your program by using the Up/Down arrow keys & pressing Enter. 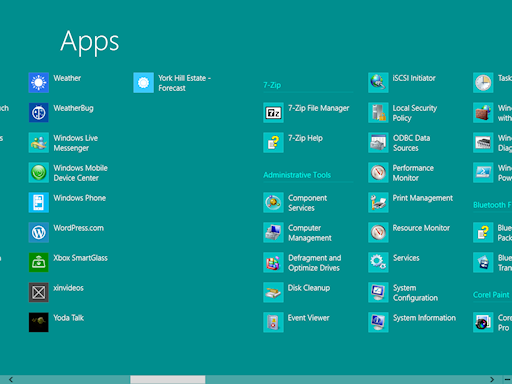 By default, Windows 8 will search your keyword under Apps, Settings & Files. This means that you can easily find anything on your App list, Windows settings & even files on your HDD without leaving the Start Screen! You will also notice that beneath the 3 system defaults, there are some apps that you’ve installed. By clicking them, you’re actually asking the App to search your keyword within the App automatically! How convenient is that! So what if you just want a list of All your apps & programs? No problem! 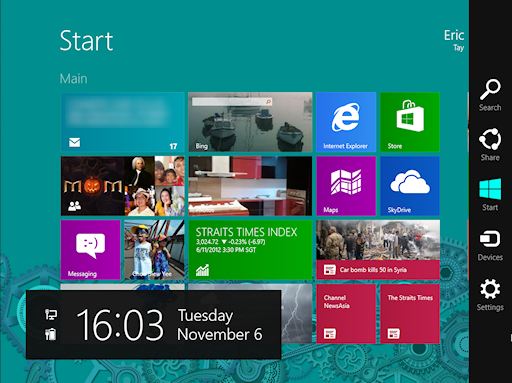 Just right click at the a blank area of the Start Screen & a panel will pop-up from below. You can also press the Context Menu key to bring it up. To the right, you’d see an “All Apps” icon. Click it & all the apps are displayed alphabetically & in groups where applicable. The Windows Key on your keyboard becomes extremely important in Windows 8. Pressing it always switches you to the Start Screen or between the Start Screen & the Desktop depending on what app is in the foreground. The Start Screen & All apps list is also the place where you uninstall stuff. No need to open Control Panel! Now you may have heard of the Charms bar which appears from the right. Just move your mouse to any of the right corners to bring it up or press Win+C. This is where you find more shortcuts like the before-mention Search. The Charms Bar is also where you’d find the Share button. Share allows you to share stuff from one app to another, similar to copy & paste; Windows Icon acts like the Windows key; Devices shows some currently connected peripherals; Settings is where you can change the Settings of the current Metro app or Start Screen. The Charms Settings Bar is also where you can change Networking, Volume, Brightness, Notifications from Apps, Power & Keyboard language. Next major change is regarding multi-tasking between different Apps & Software. Move your mouse to the top-left corner to bring up the last used Software/App. Slide down to bring out the multitasking screen or press Win + Tab to bring it up on the Left & cycle through opened software & Apps. Right-click on the App & you can close it. You can also move the mouse to the top of the App, then drag down to close. Alt-Esc still works in Desktop by cycling through non-minimized software windows. 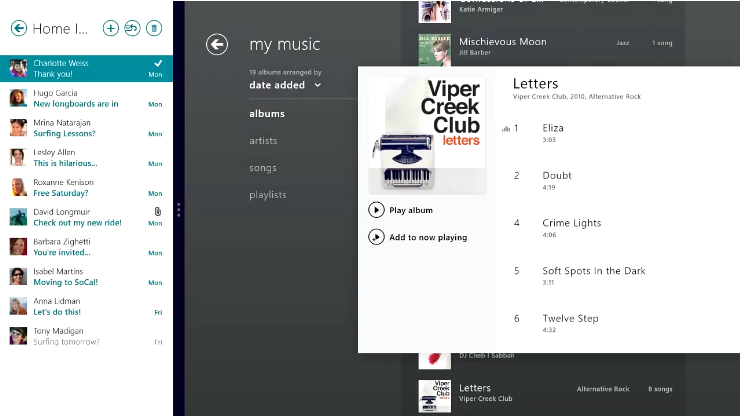 Alt-Tab still show Live Preview of your software & Apps in an overlay on top of Desktop or Start Screen. The Start Button may be gone but by hovering your mouse over the bottom-left corner of the screen, a mini Start Screen will appear. Clicking it brings you to the Start Screen, giving the same functionality as the Windows key. Sliding up also brings out the multitasking screen. Finally! All the Power User functions grouped into a menu! 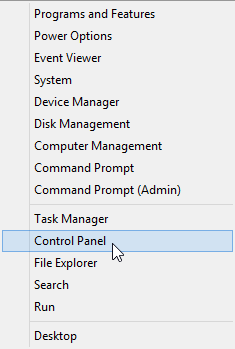 Now the best part is for power user, right-clicking here brings up a context menu with all the administrative tools like Computer Management, Mobility Center & Control Panel, etc. The old Mobility Center shortcut, Win + X now bring up this menu. 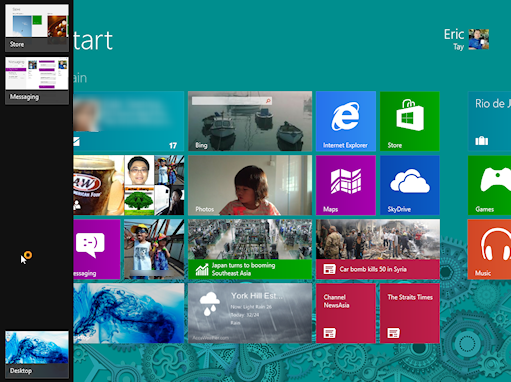 For Windows 8 with a minimum of 1366 horizontal pixel, you can use a new Snap function to “snap” a second app to the edge of the screen to allow multitasking. Just move the mouse to the left corners of the screen, slide down, drag one of the apps out & hover for a while. It should expand & snap to the edge that you hover over. If you’ve any questions on other problems not listed above or you’d like me to show more features, please leave your comments & I’d try to answer them. Previous postWhy Microsoft risk alienating 1Billion users by overhauling Windows 8? Next postMicrosoft Windows Phone 7.8 is here but could have been more!